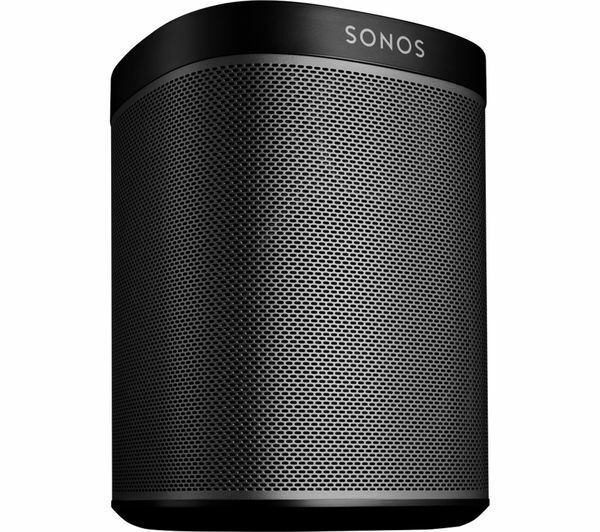 - Connect additional speakers for house-filling sound Multi-room sound The ultra-compact Sonos PLAY:1 Wireless Smart Sound Multi-Room Speaker works as a cornerstone in the Sonos Multi-Room Hi-Fi system – expand your music into any room, playing the same song everywhere or providing each room with a different soundtrack. Place it on a bookshelf, counter or other discreet space in your home. 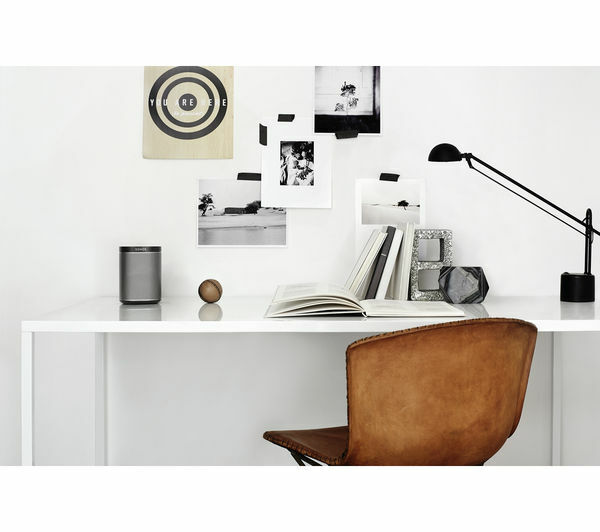 The award-winning Sonos wireless multi-room system is easy to set up and use - start with one speaker and add more over time. 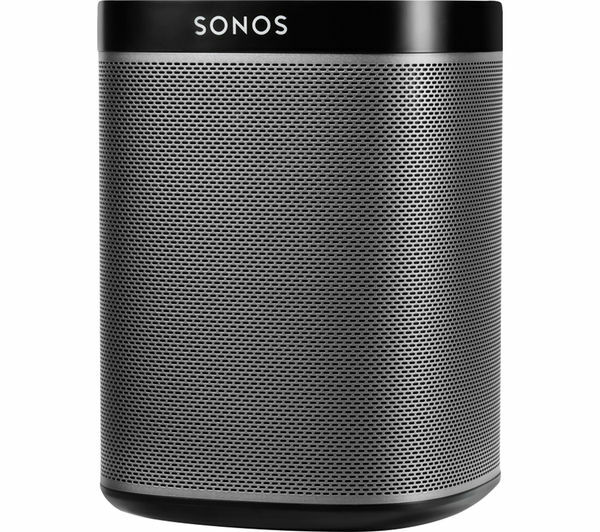 With the free Sonos app on your phone or tablet, you can control and play your music on the PLAY:1, use music streaming services like Spotify or listen to more than 100,000 free internet radio stations, shows and podcasts. Two custom-designed drivers with a 3.5" mid range speaker, a tweeter and dedicated amps for provide incredibly powerful, detailed Hi-Fi sound for all your favourite music. 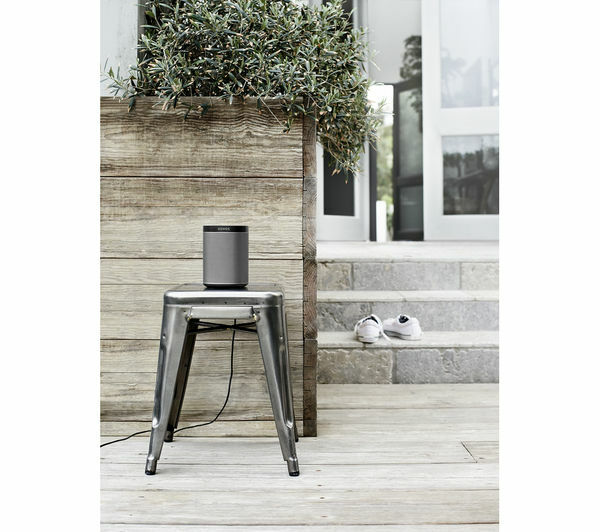 All of these scintillating highs and thunderous lows are available throughout your home at any volume, without you needing to dock your input device. 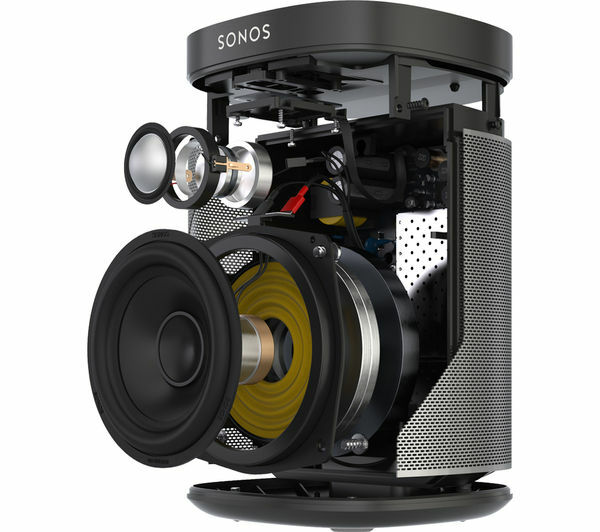 An amazing new addition to the capabilities of the Sonos system, there's now a free upgrade available on all new and already purchased Sonos systems. 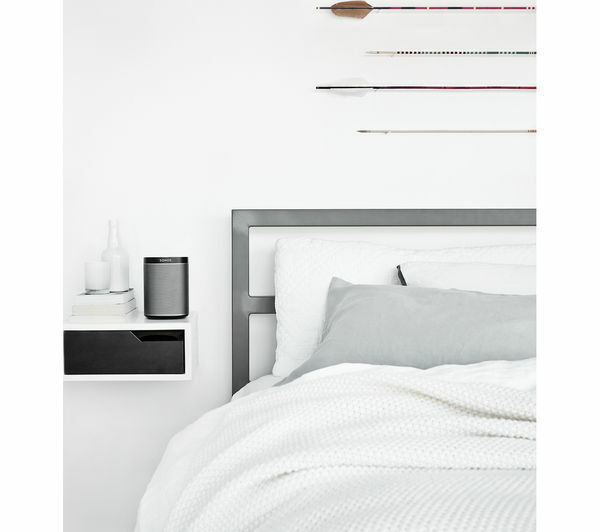 With this Sonos update you won't need a Sonos BRIDGE for Multi-Room playback between your speakers, making things even simpler. The PLAY: 1 Wireless is so simple to set up, requiring no rewiring or complex programming. 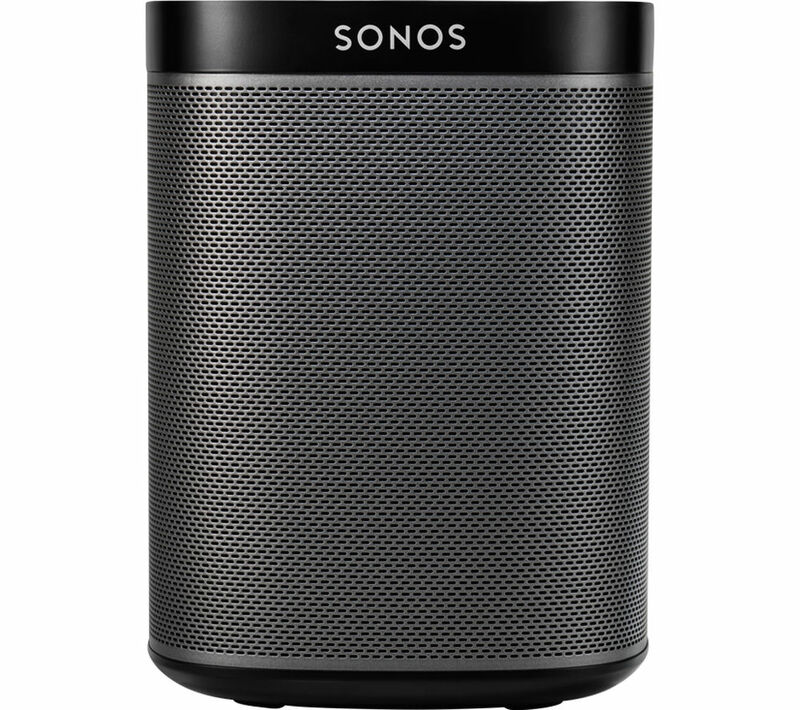 The simplest way to get started is to download the free Sonos app and then follow the simple instructions. If you have an internet router in the same room as where you want to play your tunes, you'll be able to use an Ethernet cable to connect it straight to your PLAY:1. Establish a personal wireless network so you can play music from a compatible Android or Apple device. 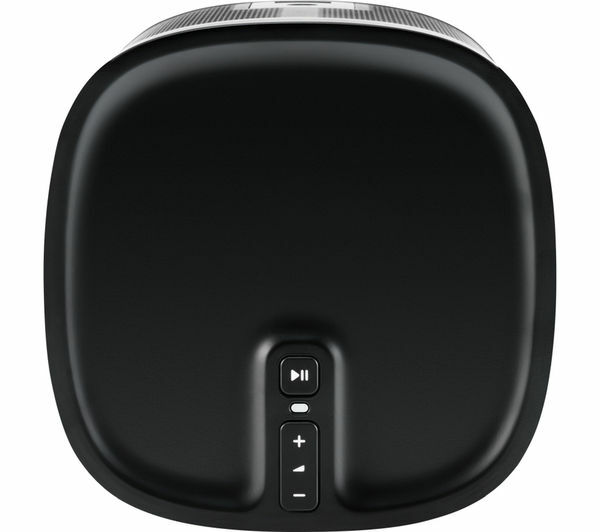 If you prefer, there's the option to connect a Sonos BRIDGE to your wireless router for a wireless link to the Sonos PLAY:1 Wireless Multi-Room Music System. 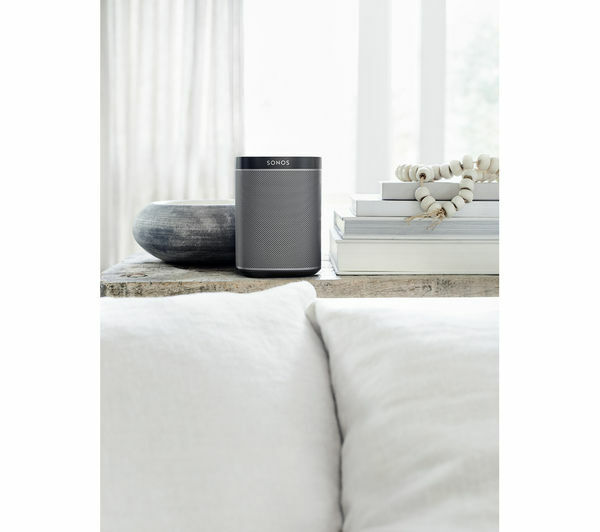 This innovative option allows you to move the compact Hi-Fi around different rooms, creating a personal wireless network to play back music from any compatible device with a wireless facility. 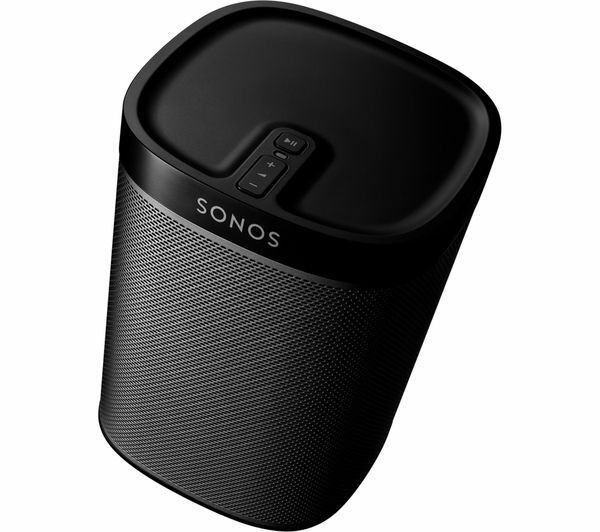 You'll be able to search, browse and play music over your Sonos PLAY:1 Multi-Room Speaker using the dedicated Sonos Control or the free Sonos Controller Apps for your Android, iPhone, iPod touch or iPad devices. 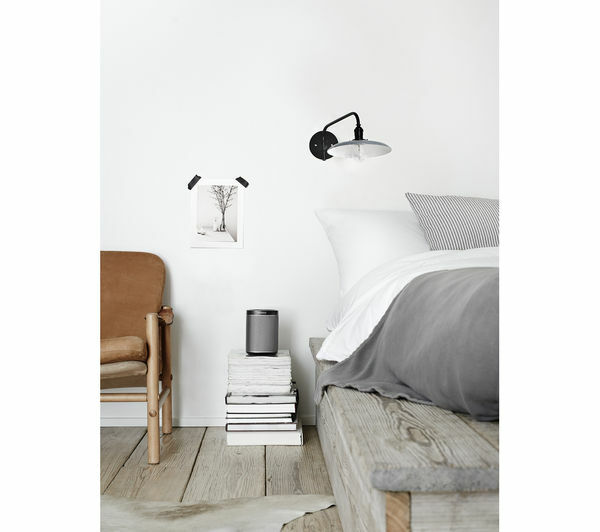 The device also allows you to add as many Sonos players as you like around your house – thanks to its wireless technology, you'll be able to play different songs in every room or bathe your home in the sound of the same tune. 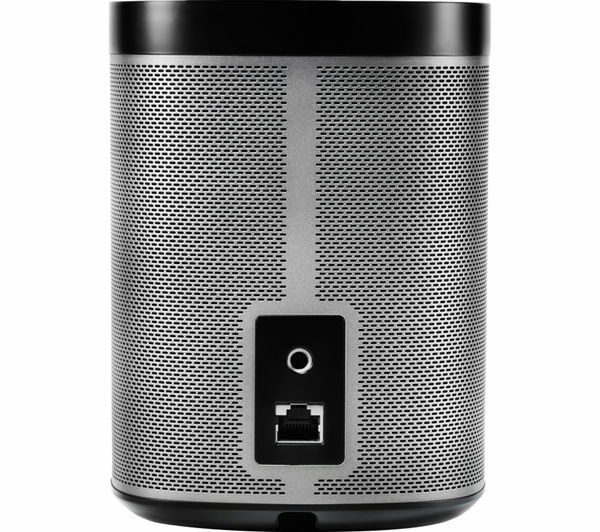 Your PLAY:1 will work brilliantly on its own, or you can add a second PLAY:1 to create a stereo pair for room-filling audio. You'll even be able to use them with a Sonos PLAYBAR and SUB to bring an astounding 5.1 surround experience to your home. 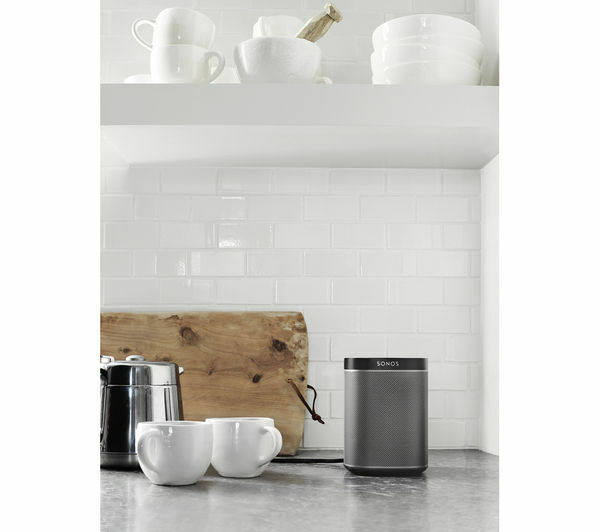 The Sonos PLAY:1 Wireless Multi-Room Speaker manages to deliver outstanding audio a small package that will fill your home with your favourite sounds as you please. 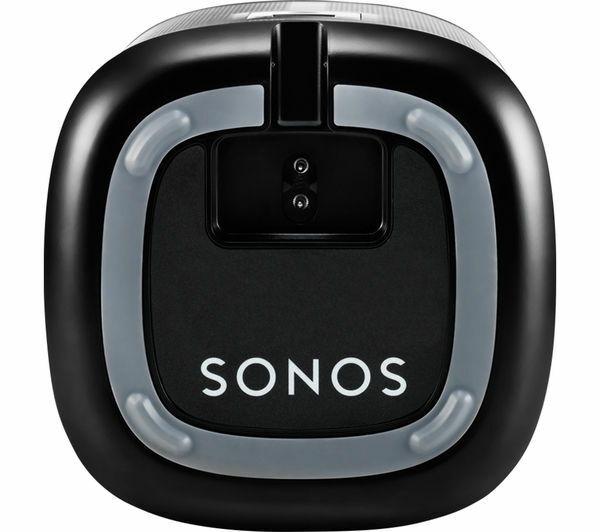 When you have confirmed your Android device is on your home wireless network, launch the Sonos Controller App. Select ‘This Mobile Device’ from the Music menu and see all your device’s music, playlists and podcasts ready for playback on your Sonos device.